If you’re interested in buying a house, one of your first steps should be to hire a home inspector. Home inspectors take a detailed look at every element of a house, to determine its overall condition, value, and any minor or major repairs that may be required after the house is purchased. Wondering how much a home inspection costs, what it includes, and if there are any additional costs you should be thinking about? You’ve come to the right place. The average cost of a home inspection is $400-420. You can expect to pay more – or less – depending on the size of the home. For example, smaller condos and homes that are under 1,000 square feet may cost $300 or less, while larger homes that are over 2,000 square feet can easily cost $500-$600 or more. 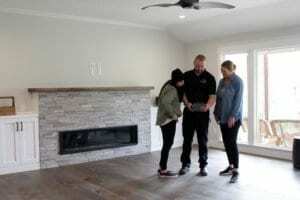 There is no standardized way in which home inspection cost is calculated. Some simply go by square footage, others charge by the hour, and some use other proprietary methods. Because of this, you should make sure to ask your home inspector up-front how you will be charged. The age of your home can also affect the cost. Older homes are typically harder to inspect, and have more additions and modifications that mean the inspector will need to take a closer look at them. You can think of a home inspector as examining the “bones” of a house. They will inspect all of the major structural components, as well as major appliances like HVAC systems. Here’s a list of what is commonly included in a home inspection. If you get your home inspected with PacWest, you will be provided a modern image-based home inspection report. What Extra Services Should You Consider? Not all home inspectors offer the same services. Consider if you need any of the following. Prepare For The Cost Of Home Inspections With This Guide! 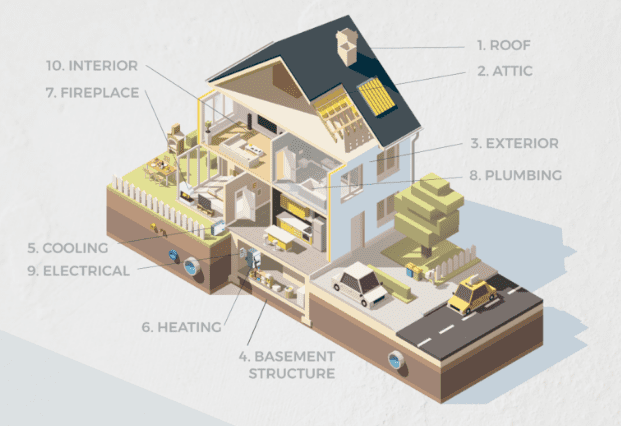 With this handy guide, you’ll be able to prepare for the cost of a home inspection – and any additional tests that may be required after your inspector has completed the initial examination.